I don’t drive often, but when I do, I almost always use Waze. Though the above sentence might sound a little like an expensive Lincoln commercial featuring Matthew McConaughey, it’s true. The Google-owned navigation platform offers all of the navigation expertise of Google Maps, with the added convenience of crowd-sourced hazards and surprisingly accurate live traffic information. I own a 2014 Ford Fiesta hatchback that unfortunately doesn’t feature CarPlay or Android Auto because I purchased the car before the rival in-car infotainment systems became the standard across the industry even in the base trim version of most vehicles. This means I typically mount whatever phone I’m using on my dashboard when I’m using Waze. 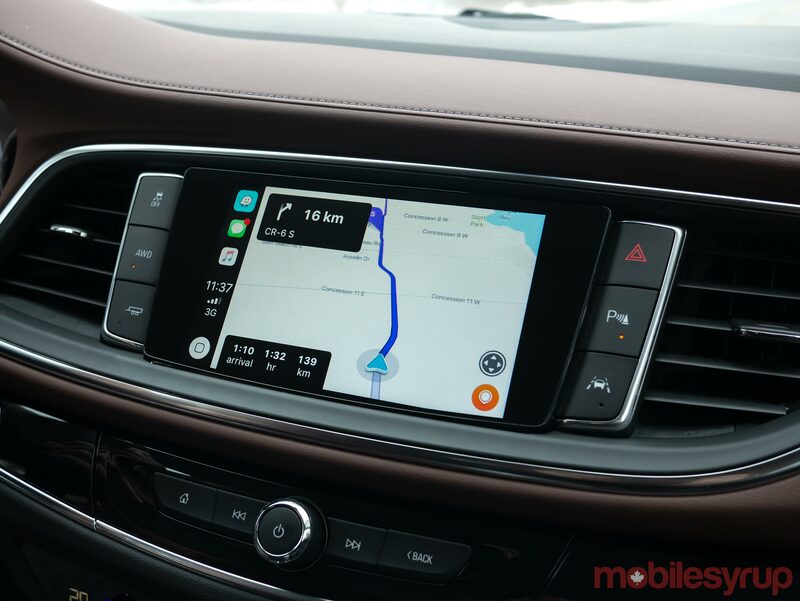 However, for those with CarPlay built into their vehicles, the fact that the navigation platform couldn’t run natively through Apple’s infotainment system was once a point of frustration. 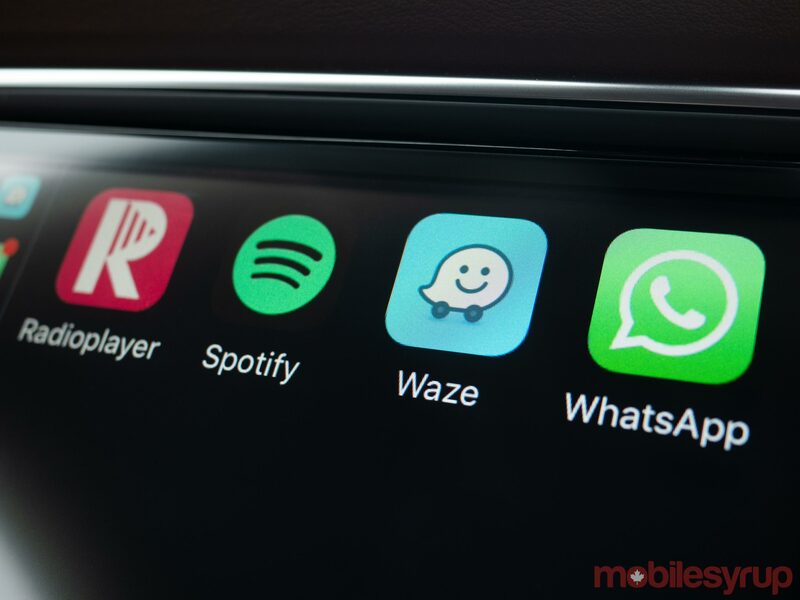 Now that Waze works directly in CarPlay, which has been available through Google’s Android Auto platform since July 2017, this is no longer an issue — at least for the most part. iOS 12, released back in September, did not significantly improve CarPlay’s functionality. That said, it did add the ability to use third-party navigation apps like Google Maps and Waze. 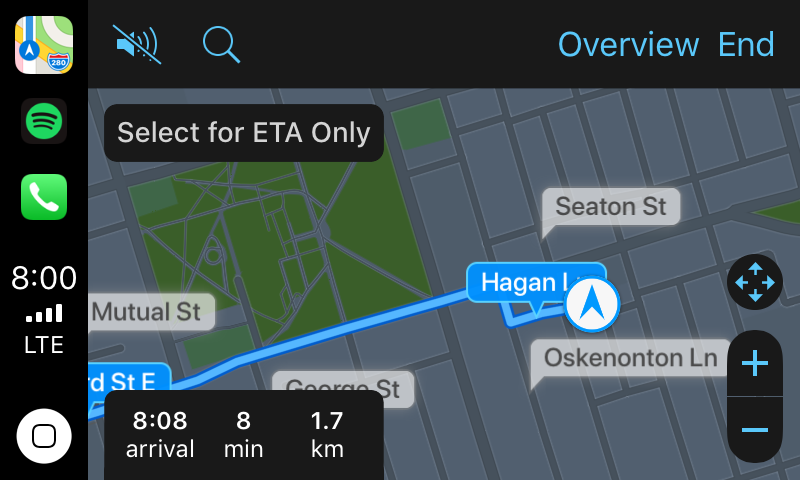 Now you’re no longer limited to using just Apple Maps with CarPlay and have access to a much larger display when running Waze on an iPhone. 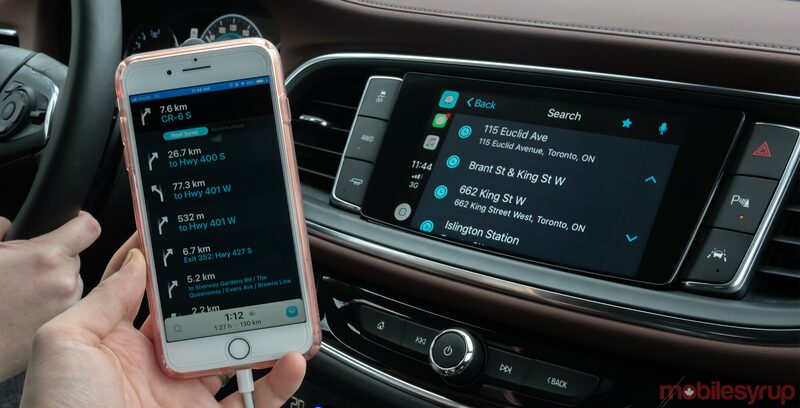 A few weeks ago I had the opportunity to test out Waze’s CarPlay integration in a 2018 Buick Enclave Avenir. Although I briefly checked out Google Maps’ CarPlay integration, Waze was my primary navigation platform for the week I had my hands on the car. While the Buick Enclave SUV itself felt massive and a little unwieldy, my experience using Waze during a somewhat lengthy multi-hour road trip was mostly excellent. 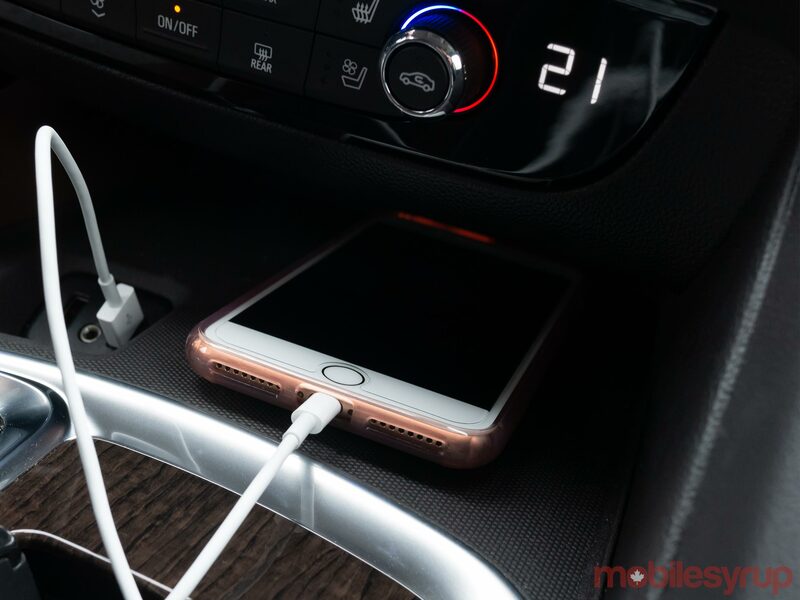 To get Waze up and running in CarPlay all you need to do is install the latest version of the app from the iOS App Store and plug your iPhone into the vehicle’s infotainment system with a Lightning cable. This makes the navigation app automatically show up in the CarPlay operating system as the familiar icon already present on your iPhone. Notably, this actually adds Waze’s app icon on the second CarPlay homescreen, but you can re-arrange the setup in your iPhone’s CarPlay settings. Wireless connectivity would also be more ideal, but to my understanding, CarPlay untethering from a Lightning cable is only offered in a few newer high-end vehicles. The overall layout, including Waze’s buttons and user interface, is very similar to Apple Maps. Given the design restrictions Apple places on third-party apps, including its in-car infotainment platform, this makes a lot of sense. 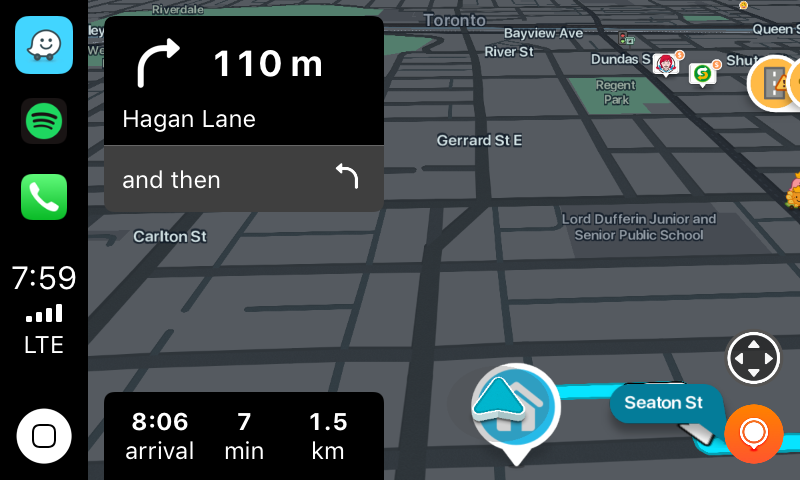 Waze’s CarPlay user interface looks very similar to Apple Maps. As a result, if you’re familiar with what Apple Maps looks like when running through CarPlay, you’ll instantly recognize Waze. 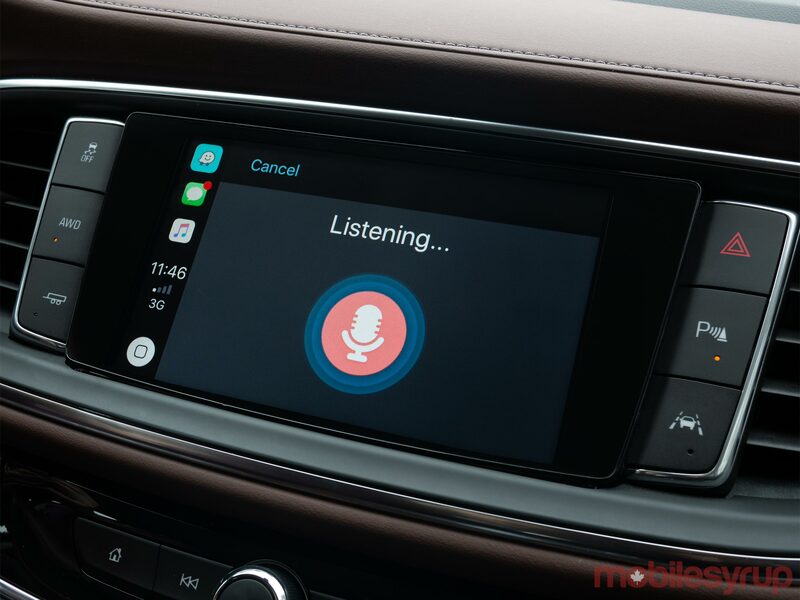 The only glaring feature missing is Siri integration, with Apple keeping its voice-activated assistant exclusive to the tech giant’s own CarPlay apps. Given voice control is typically the way most people interact with CarPlay unless they have a dedicated copilot on hand, keeping Siri exclusive to its core apps is a strange decision on Apple’s part. In place of Siri, Google has included its own competent voice control directly in Waze as well as Google Maps. The similarities between Apple Maps’ layout and Waze’s CarPlay user interface are undeniable. To access the feature, you need to press an on-screen button and then issue your command. Though not a huge issue, this results in your attention being taken off the road for a few seconds each time you need to say a command. This isn’t a problem if you’re setting up Waze before starting a trip but could be a frustration if you’re altering your route on the go. I also can’t help but wish the app featured direct Google Assistant integration though I know that would never happen with an Apple operating system. I found myself primarily entering destinations manually through my attached iPhone XS Max before starting my trip. In fact, it’s actually possible to input a location in Waze on your iPhone before plugging the device into your vehicle because the transition between the two versions of the app is seamless. There are quick on-screen menu prompts for locations you frequently navigate to, but these seem to require you to use the platform for a while before they begin to become useful. Overall, I found using Waze directly through CarPlay to be a smoother experience than mounting my phone on the dashboard and running the app. The navigation platform’s user-interface has been designed from the ground up with CarPlay in mind and even includes the ability to add crowd-sourced information like the location of ongoing construction, heavy traffic, police and more with just a few on-screen taps. I also didn’t need to fiddle around with the vehicle’s Bluetooth settings like I’m forced to with my Ford Fiesta to hear Waze’s voice directions through the car’s speakers. There were some iPhone Waze app features I missed that aren’t included in the CarPay version, such as pop-up suggestions for your frequently visited locations or showing you how fast you’re going in relation to the speed limit — although it does indicate the speed limit of the road you’re driving on. I’d also like more options regarding how navigation can be displayed on the screen other than zooming in and out. In general, the CarPlay version of Waze isn’t as customizable as the standard iOS or Android app. 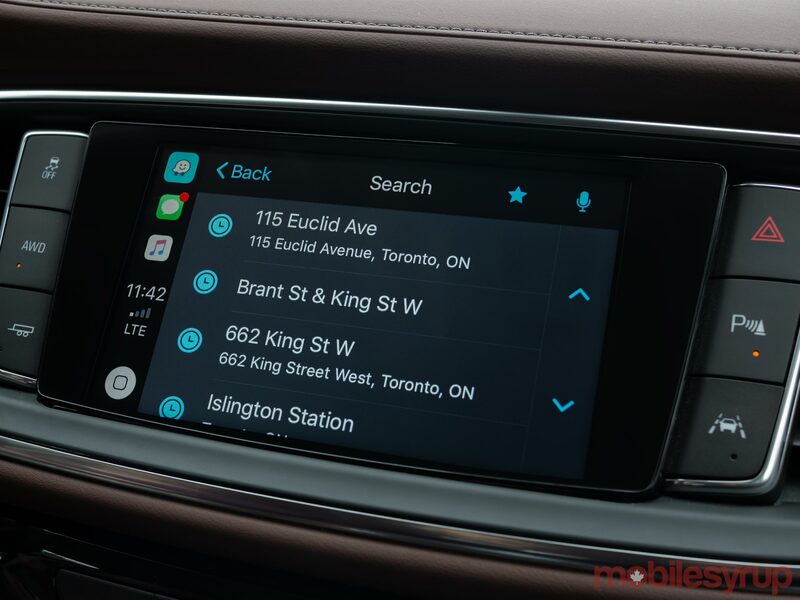 It’s possible Google could have plans to bring some of these features to Waze for CarPlay in the coming months. The overall performance of the app was also surprisingly smooth and bug-free for the most part. With this in mind, I did run into two issues where Waze crashed and had to be relaunched. It’s likely these problems will be fixed in subsequent updates. 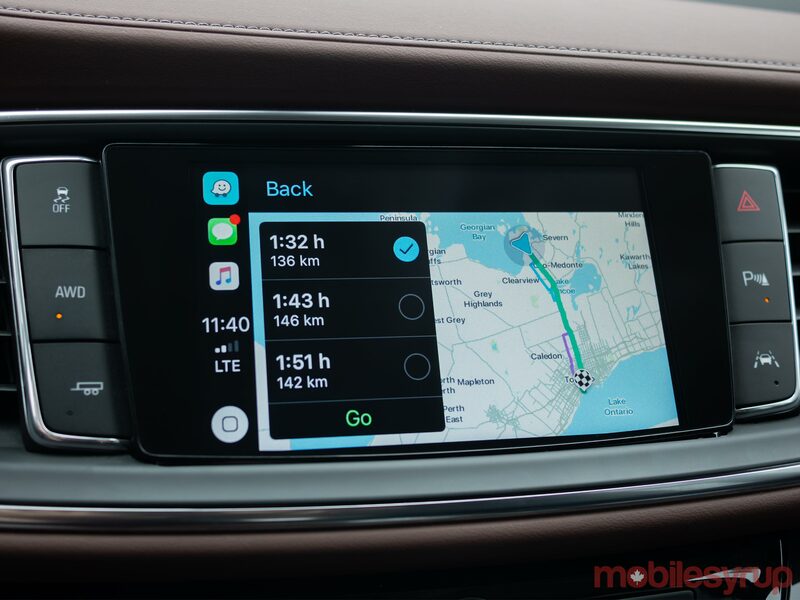 Regardless of the issues I encountered, if you own a vehicle equipped with CarPlay and are a Waze user, you’ll likely find a lot to like about the navigation platform’s new integration with Apple’s infotainment system. Waze is available in the iOS App Store.